Ba Gua is often referred to a the sister of Tai Chi Chuan and BaGua considered the art that represents the basis of many philosophical perspectives and a basis of Chinese Medicine. 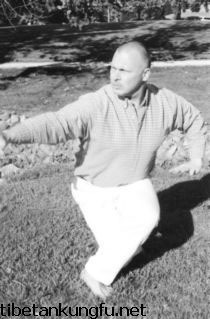 In Kuo's book, Tai Chi Chuan is referred to as the 13 movements. This was understood to be the 8 gates (energies) of the paqua, combined with 5 stepping of hsing yi. One good friend, an Oriental Medical Doctor who had graduated Chinese Medical School in Beijing said that all the Doctors there, were required to learn basic paqua. She told me that they weren't required to be proficient, but to see the philosophy in motion. The Taoist philosophy is primarily associated with paqua. The understanding of continuous motion and flowing change is a basis that it is built upon. 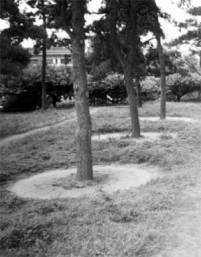 Walking the circle (Rotate with Heaven) has been performed by the Taoist sages for centuries. They do their meditation while walking, often times chanting as they walk.The Taoist walk bagua circles in their long robes, sometimes slowly, sometime swiftly, around trees and chant and pray. Sin Tien Wu Chi Paqua has 8 primary hands and is the walking meditation and tendon buidling aspects of the Ba Gua. Most students find the focus on proper, dedicated Ba Gua footwork to be challenging, and requires practice. The first four palms are offered in a Bagua Beginner Workshop. In the early 1800's Dong Hai Chaun sought refuge and made it to the Taoist sages. Dong Hai Chuan was already a very well trained martial artists, but put that to the side to learn the quiet ways of the sage. 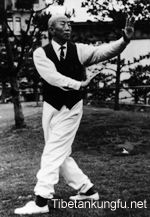 Hau Tien Wu Chi PaQua has 8 forms that are walked both in straight lines and circles to complete a full routine. These 'change palms' exhibit many of the forms and expressions that are used as a very good fighting kungfu. It is primarily an open hand system with many elbow and knee strikes. Our students begin learning the basic movements and then develop skills, then form. Ba Gua is a fighting system, but the root of the training began in quieting the mind in motion. Many very good fighters have used Ba Gua, and often iron palm training is also used in combination with these fighting skills. Learning to deliver strikes and blows while in continous motion is one of the signatures of Ba Gua.